Healthy Spirits is intended to give users the ability to determine the nutritional values of the mixed drinks they have. There are tons of apps to help track this information for food consumption and non-alcoholic drinks but very little to help determine the information for alcoholic drinks. 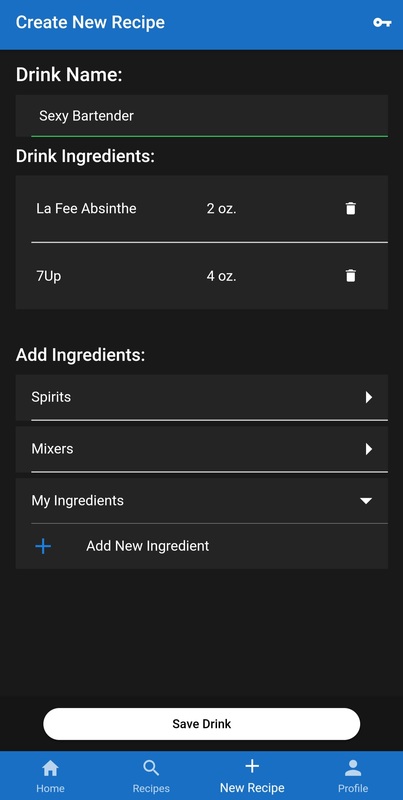 Therefore, the app is to provide the user the ability to select the amount of each liquor and mixer they add into the drink and it will return a nutrition label for a drink made with those amounts. If they are adding something not currently in the database to their drink, they will be able to add that item to the database and then continue. 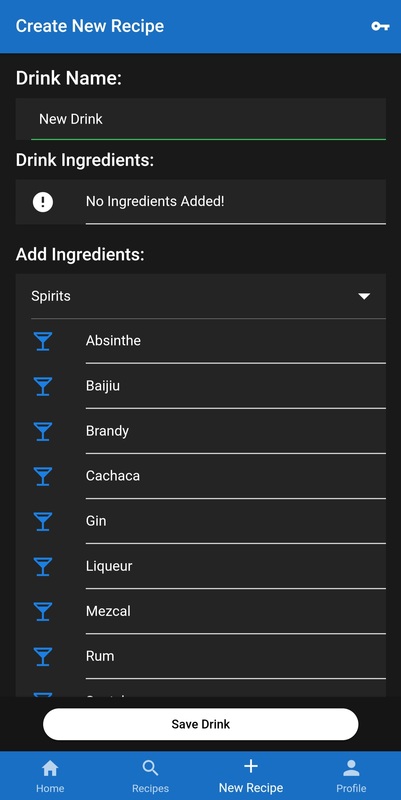 Once they have created their drink if it is not already a drink in the database they will be given the option to submit it to the recipe database for public viewing. 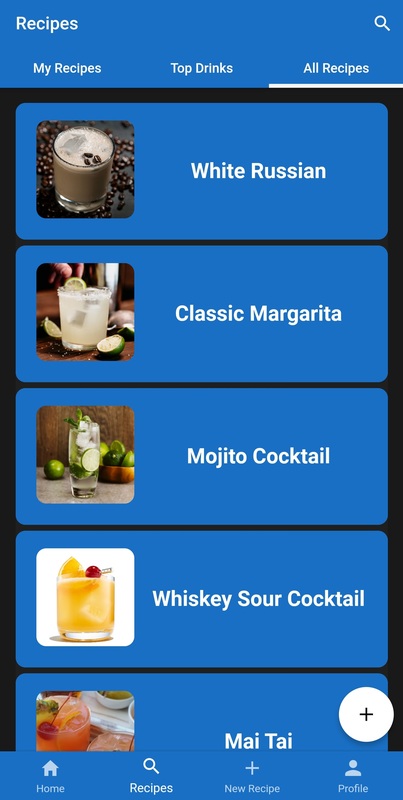 So not only does the app help determine nutrition facts for mixed drinks but it also will be a recipe database for mixed drinks so the users may share their recipes. 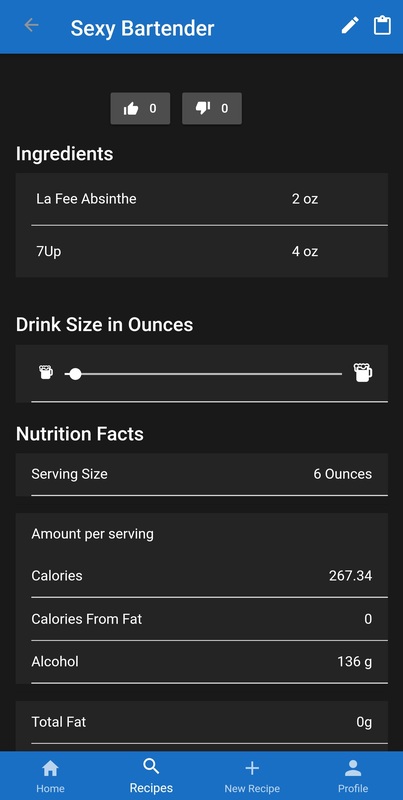 Each user will have an account, that way they will be able to create, edit and delete drink recipes as they like as well as seeing past nutriton labels they have created. The application will hopefully be released on Apple and Android devices since ionic and cordova allow cross-platform development. Lonnie Gasque, Austin James, Russell Burckhalter, Tiffany Abernathy, Katherine Haberlin.